Did you see this coming? Fleetwood Mac has been sued by Lindsey Buckingham. The lawsuit alleges breach of fiduciary duty, breach of oral contract and intentional interference with prospective economic advantage. In case you weren’t in the loop – the band parted w/ Buckingham in January 2018 and replaced him with Heartbreakers guitarist Mike Campbell and Neil Finn of Crowded House. The lawsuit, filed Tuesday (October 9) in LA Superior Court, states that he asked the band to postpone their tour three months so he could tour with his solo band. Buckingham says the Rumours-era lineup was scheduled to play 60 North American dates when he was fired with no warning. Today (October 12), a rep for the band said, “Fleetwood Mac strongly disputes the allegations presented in Mr. Buckingham’s complaint and looks forward to their day in court. The band has retained Dan Petrocelli to handle the case.” Petrocelli is known for representing The Eagles’ Don Henley and Glenn Frey in their lawsuit against Don Felder, who was fired from the band in 2001. 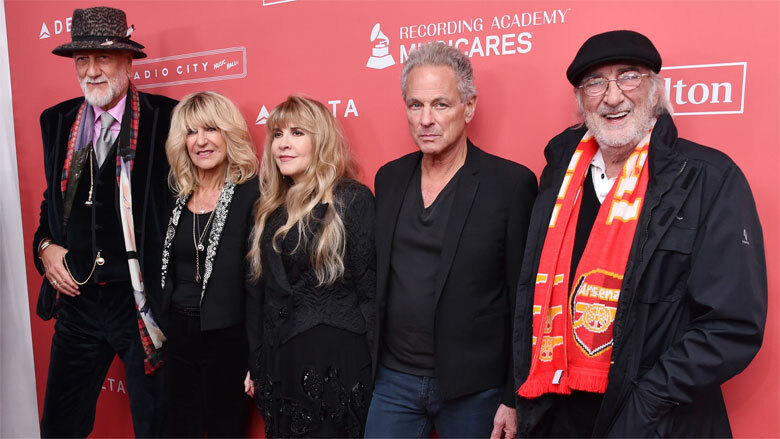 “This action is necessary to enforce Buckingham’s right to share in the economic opportunities he is entitled to as a member of the partnership created to operate the business of Fleetwood Mac,” the complaint states. What do you think? Will Buckingham “win” this lawsuit?